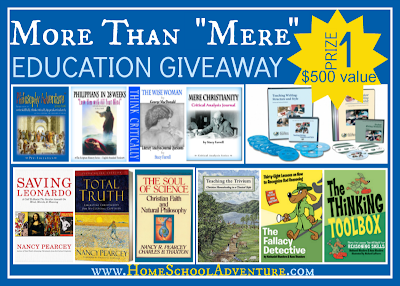 Footprints in the Butter: A HUGE Give-away From The Homeschool Adventure Company! 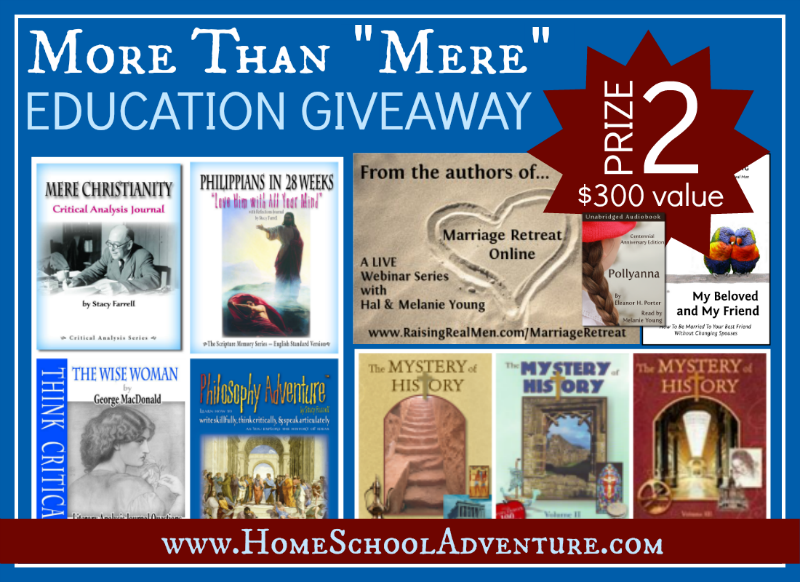 A HUGE Give-away From The Homeschool Adventure Company! 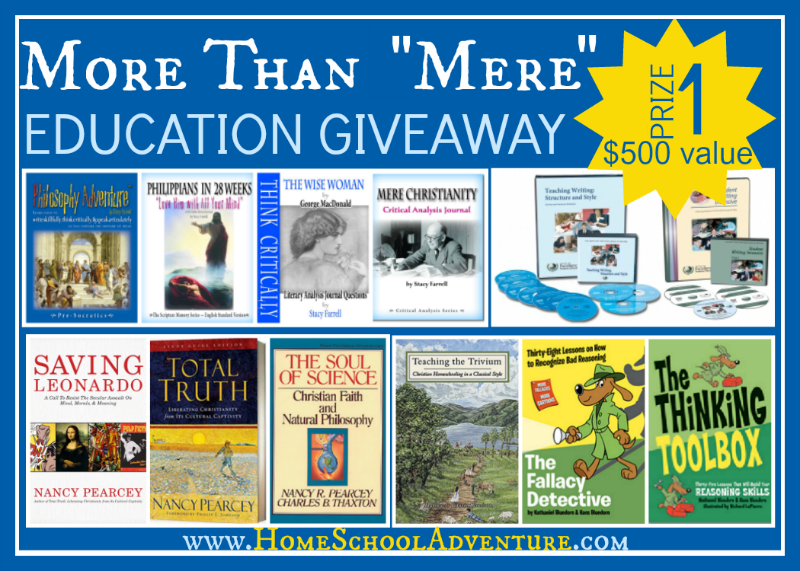 A while back, I shared a review of a pretty fantastic Philosophy Curriculum that is created by Home School Adventure Co. One thing that had definitely interested me with that Curriculum was the plans to create a study of Mere Christianity by C. S. Lewis. Connor (16) is a huge Lewis fan, and I knew he would love to do this study. When I had the chance to get involved in the Mere Christianity Launch Team, you know I was on it immediately. My review of this study will be coming in about a month, and I'm not far enough into it to really give you a preview of what I'm likely to say. So far, we've read the Preface, the Foreward, and answered questions in the guide about the Preface. Definitely not enough for me to have a real opinion yet. However... there is a fantastic kick-off giveaway going on. You want to enter. 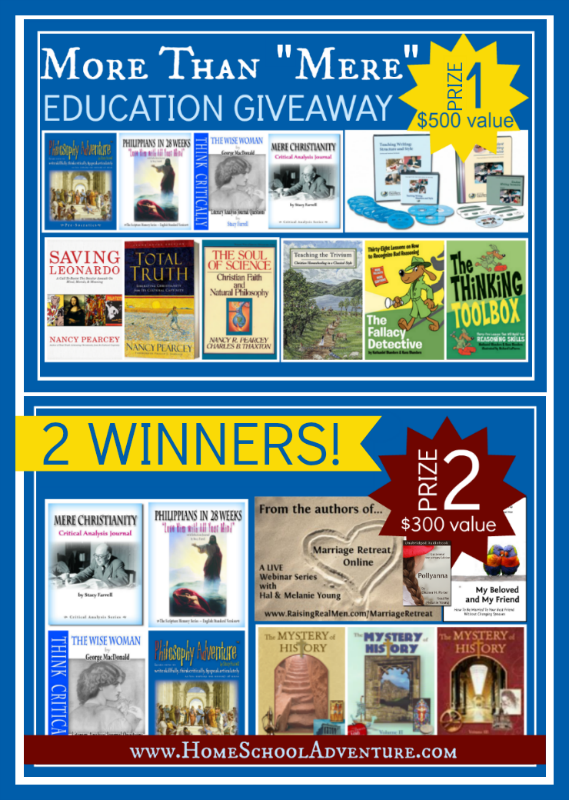 The first prize package with the print books!! I can't enter, but what I'd love to win the most is the Mystery of History volume 3 part. Of course, I already have a bunch of the rest of the prizes. I would love the 2nd prize! Especially the mystery of history volume 3! The 2nd prize would be wonderful! Thanks for the chance to win! Wow! Thanks so such for offering this amazing giveaway! 2014 Already? How can that be? We're watching The Sound of Music Tonight!